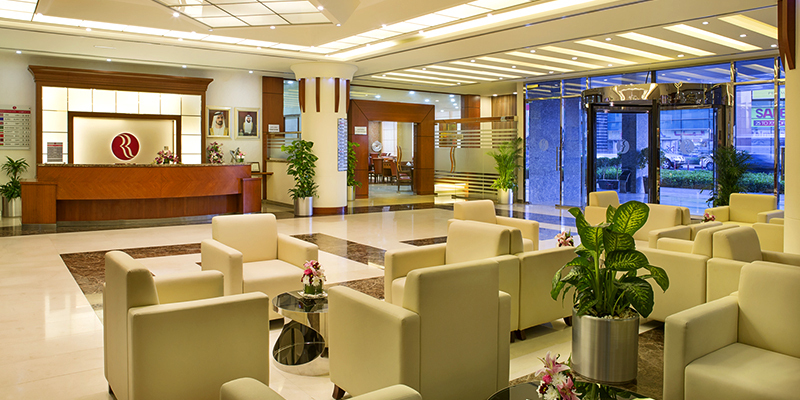 Ramada Deira is conveniently located in the heart of the business and shopping district of Deira, a minute walk to Salah Al Din Metro Station and just across from the Reef Mall and Ansar Gallery. Al Ghurair City the major shopping mall is 2 minute walk away and the hotel is located 10 minutes away from Dubai International Airport terminal 1, 2 & 3. 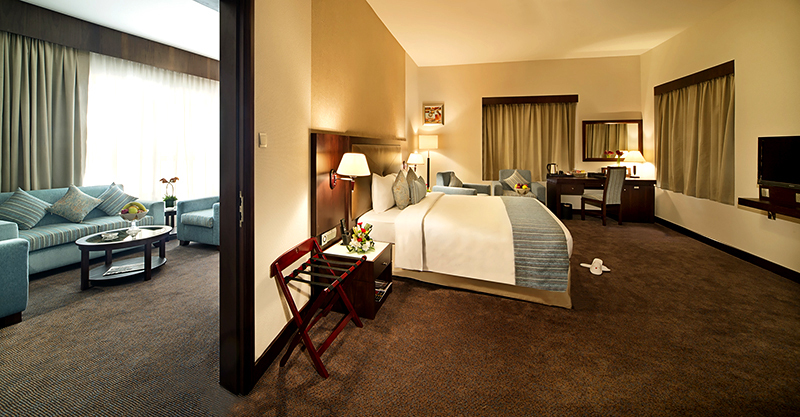 Our elegantly decorated rooms and suites, designed for luxury and comfort. 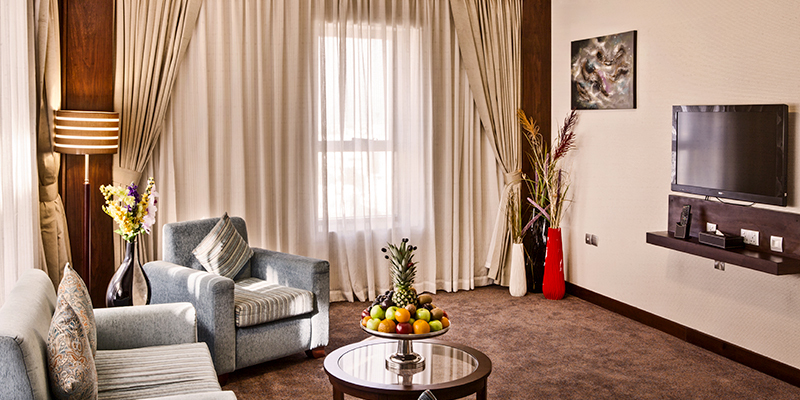 The 173- room hotel features 15 modern Executive One Bedroom Suites includes a living room with sofa,158 standard double or twin rooms, standard single rooms, Family rooms for 2 adults + 2 children and Interconnecting Family Rooms that can accommodate 4 adults and 2 children. 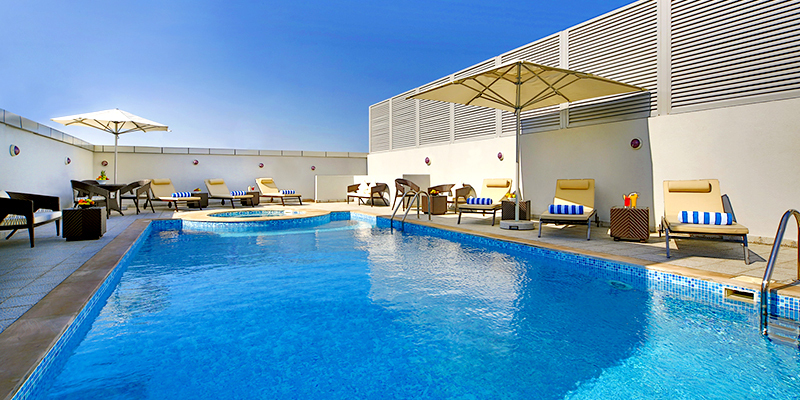 Ramada Deira features a myriad of facilities which include two spacious restaurants including Reem Al Bawadi- Arabic Specialty Restaurant, Barrio Fiesta – Filipino cuisine – a fusion of rich native flavors with dashes of Spanish, Chinese and Malay culinary influences; a coffee shop, business center, roof top swimming pool, sauna & gymnasium. We also offer fully equipped banqueting / conference room, meeting and board rooms. Due to the varied nature of our event spaces, we are able to host everything from seminars to conferences, receptions to office parties. Free access to wi-fi in the room and public area of the hotel, business center, swimming pool, jacuzzi, steam room & sauna for men and women, fully equipped gymnasium, fitness programs tailored by professional trainers. Barrio Fiesta is the ideal location to celebrate the legacy of Filipino cuisine. Founded as a cozy, mother's kitchen over 50 years ago, it is now recognized as the No.1 traditional family restaurant in Philippines and around the globe. Provides perfect pick-me-up snacks no matter where you are heading.